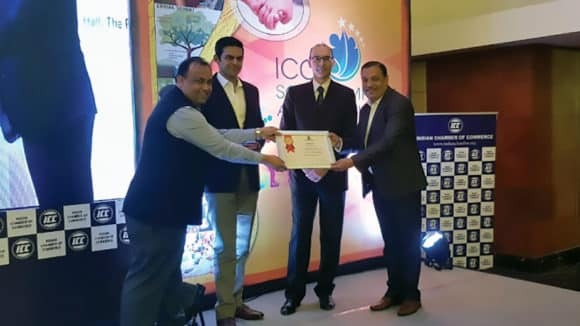 Sightsavers, a United Kingdom-based global development organisation has initiated efforts for the advancement of inclusive education for disabled children in the State in a collaborative effort with the State Sarva Shiksha Abhiyan (SSA). The organisation would work in cooperation with the State Government for quality education of children with special needs as mandated under Right to Education Act 2009. Sightsavers would initiate comprehensive action for the inclusive education of disabled children from the district of Dumka. The learning and successful practices from Dumka will later be open for replication by various stakeholders and the State Government in the other 23 districts. 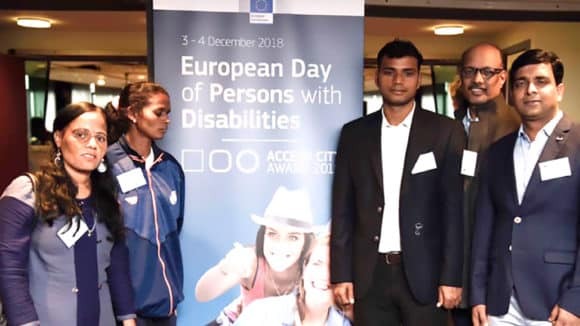 Jharkhand Disability Commissioner Satish Chandra who was present at the launch of the programme on Tuesday pointed out the challenges in the field of disability. “So many provisions have been made to ensure rights of disabled but we still have many shortcomings. We are a State with 24 districts and 23 languages and hence faced by several predicaments,” said Chandra. He also asserted that there are many districts still out of reach of Sightsavers and so the organisation should expand their work. “RTE is good but has been devoid of monitoring. All of us should contribute towards it. Sightsavers should expand the work throughout the State and through different Government schemes. I assure them all cooperation from the side of the State Government,” said Chandra. 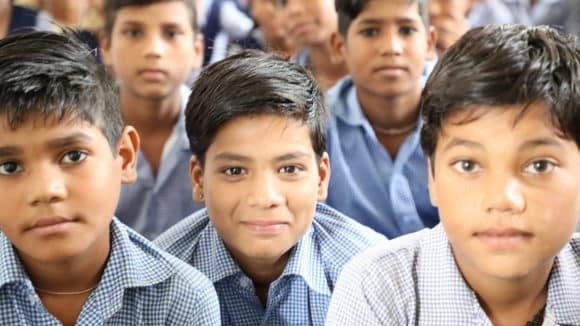 The newly launched programme will support the State SSA programme in strengthening inclusive education in State by developing inclusive education workforce, providing critical support in educational aids and materials for the CWSN, undertaking clinical and functional assessment of CWSN and creating awareness and sensitisation among parents. 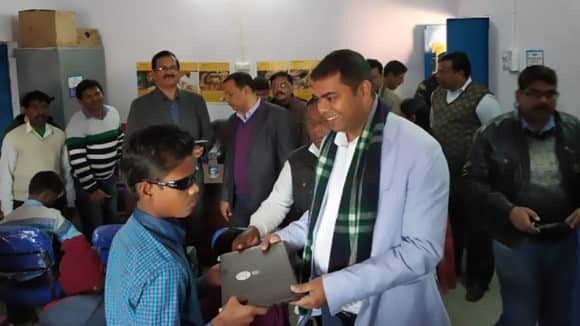 The programme is said to benefit more than 15,000 visually impaired children, facing difficulties in acquiring sustainable education in the State. Provision of low vision devices along with specialised educational aids and materials would be provided to the visually impaired children. As per the Millennium Development Goals 2015, an estimated total of 1,200 Special Education teachers will be trained under the programme in the next three years. The trained teachers are expected to be the major drivers in the elementary education system for ensuring education among disabled children. Teachers from more than 3,000 elementary schools of State would be trained and orientation programmes to build favourable environment for smooth and equitable education of CWSN students would also be conducted. 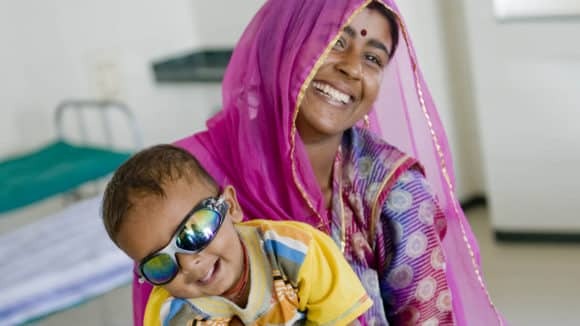 Caroline Harper, Chief Executive Officer of Sightsavers, said that the organisation would not only remain involved with the 2015 agenda but would ponder on review plans post it. “This is my first visit to Jharkhand. I think the disability agenda is coming down because girls are becoming more important,” said Harper. According to Caroline, the disabled children should be focused on irrespective of their gender, and the needs of the children which they share with other kids should be emphasised on. The programme focusing on the rights of disabled children would also train regular teachers in braille. The State Government is though hopeful that a lot of change can be brought in the challenging field of inclusive education with the support of such organisations.